How does herbal education open up a world of custom body products, medicinal resources and love for nature? 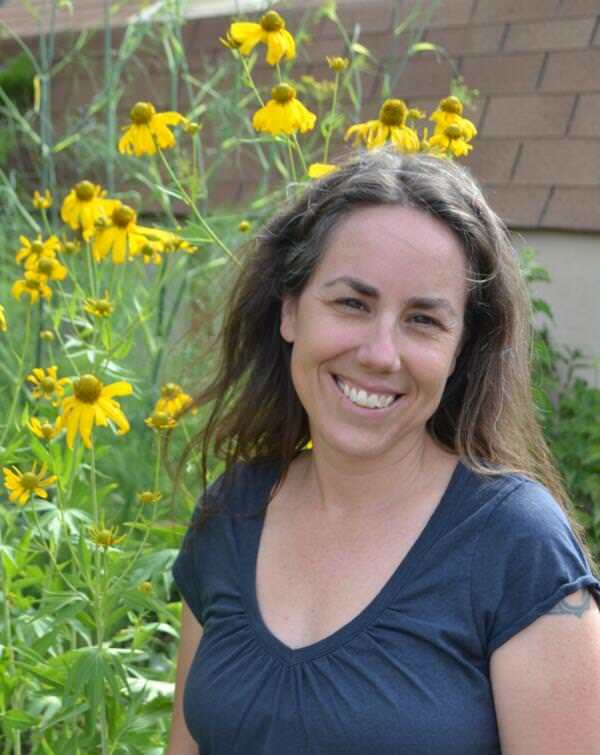 Albuquerque’s KRQE interviews Dara Saville of the Yerba Mansa Project and Albuquerque Herbalism. Check it out here! How are plants part of a systems or landscape approach and how do they work as medicines inside of us? What is herbal health and vitality? How does place inform health? Basmati.com sat down with Herbalist Dara Saville to talk about love of nature, natural healing and herbalism. Listen here! 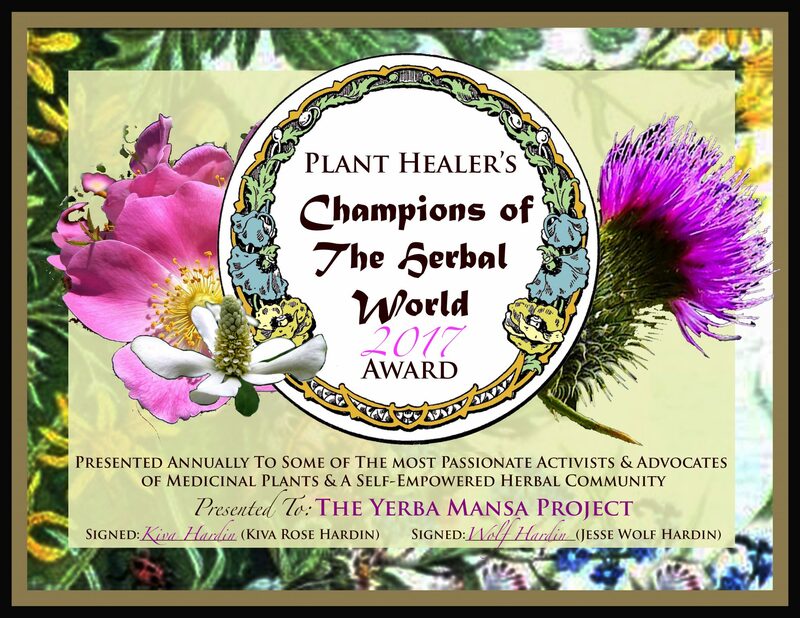 The Yerba Mansa Project is the recipient of the 2017 Plant Healer award for advocacy of medicinal plants and self-empowered community. Thanks to the many people who have volunteered their time, donated money, sponsored educational events, or otherwise supported our work. Thanks also to Plant Healer for recognizing and encouraging conservation and restoration efforts. 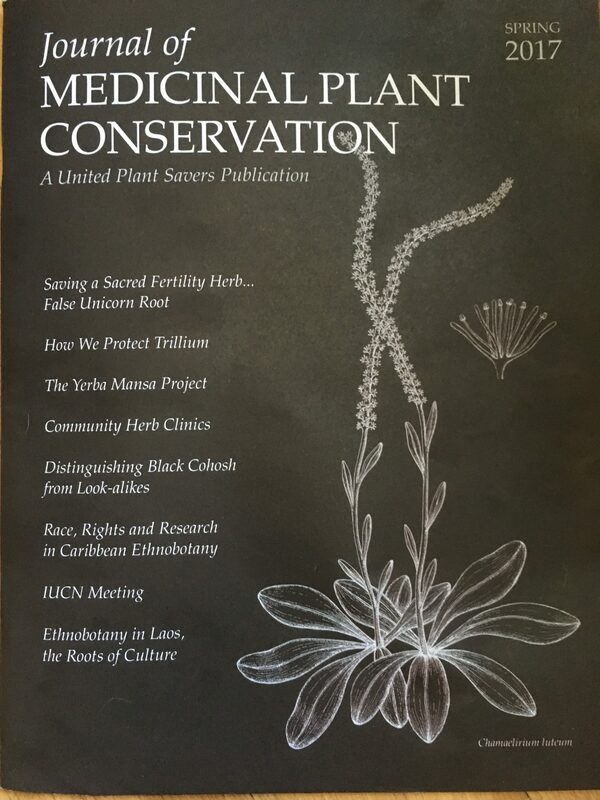 The Journal of Medicinal Plant Conservation published by United Plant Savers featured an article about The Yerba Mansa Project in the Spring 2017 isssue. 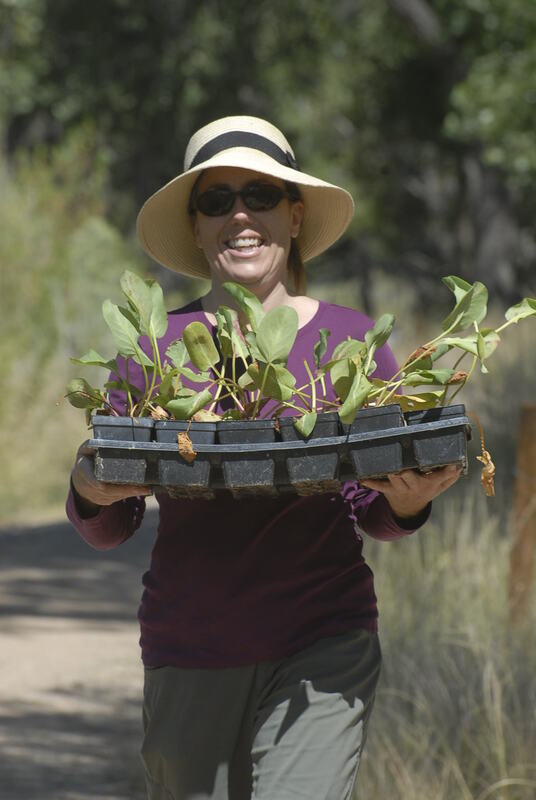 Written by Yerba Mansa Project Founder and Director, Dara Saville, the article entitled “The Yerba Mansa Project: Community-Driven Native Plant Restoration in the Rio Grande Bosque” outlines the project’s methodology including how to work on public lands, organize your community, and undertake restoration work. Download and read the article here. The Native Plant Society of New Mexico awarded The Yerba Mansa Project a 2017 grant through the Jack and Martha Carter Conservation Fund. This grant was used to purchase GIS equipment to enable baseline documentation and long term monitoring at our restoration site. Thank you to the Native Plant Society for supporting our data collection and research. The Gutierrez-Hubbell House, a historic Camino Real family property and museum in Albuquerque’s South Valley, hosted the exhibit Folk Healing Traditions of New Mexico: Medicinal Plants of the Middle Rio Grande from November 2016 to April 2017. Co-created by Yerba Mansa Project Director Dara Saville and Herbalist Dianne Rand, the exhibit highlights the local curandera tradition and important medicinal plants from the Rio Grande Bosque, the Chihuahua Desert, the Sandia Mountains, and the agricultural/urban areas around Albuquerque.